washing line so he ties it down the side of his lighthouse instead. about collecting it for him. They bring it all back safely to make a happy ending. 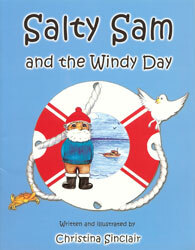 For those children learning English the book’s text is accessible through a translation dictionary.